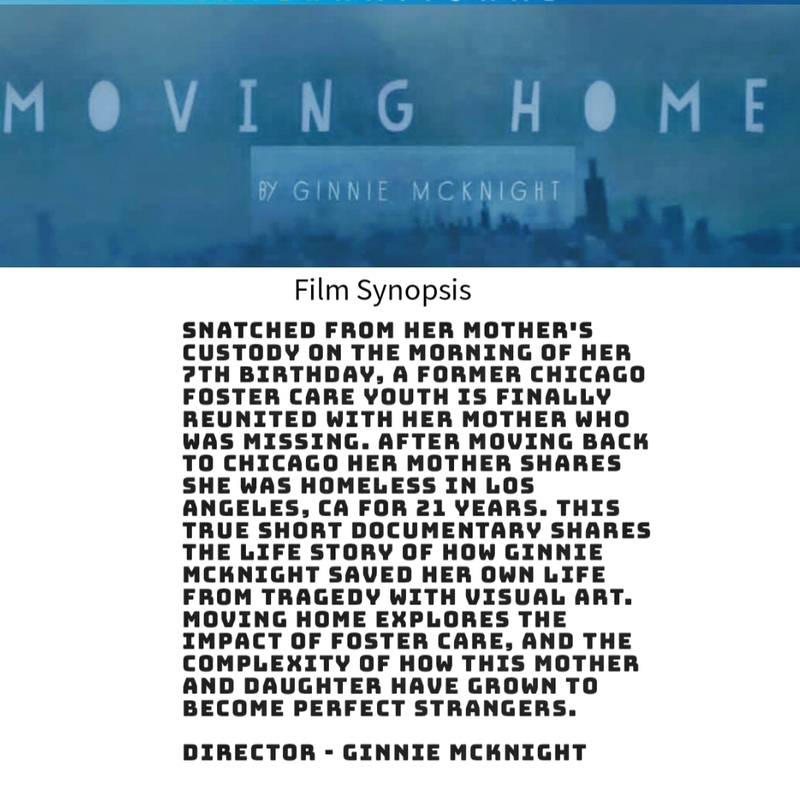 Moving Home the Short Documentary by Ginnie McKnight is her Directing Debut. This film shares the journey of her life and success after Foster Care and reuniting with a mother she believed to be deceased for most of her life. 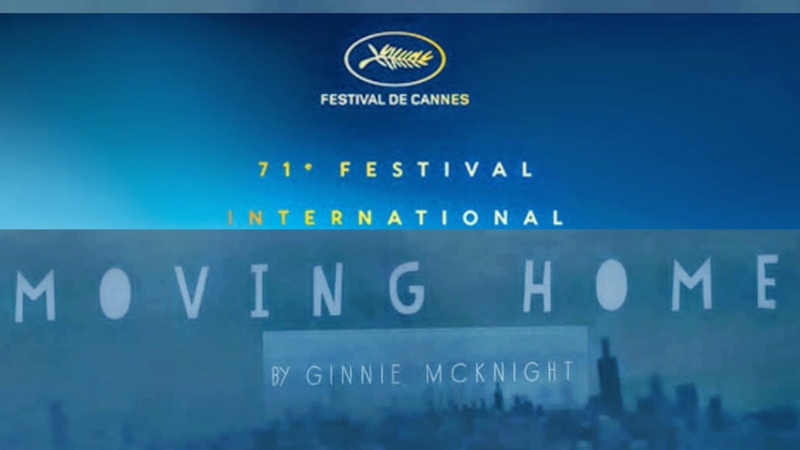 Accepted into the 2018 Cannes Film Festival, Moving home is closing out it's festival run for 2018 and will be available for viewing in the US in early 2019. 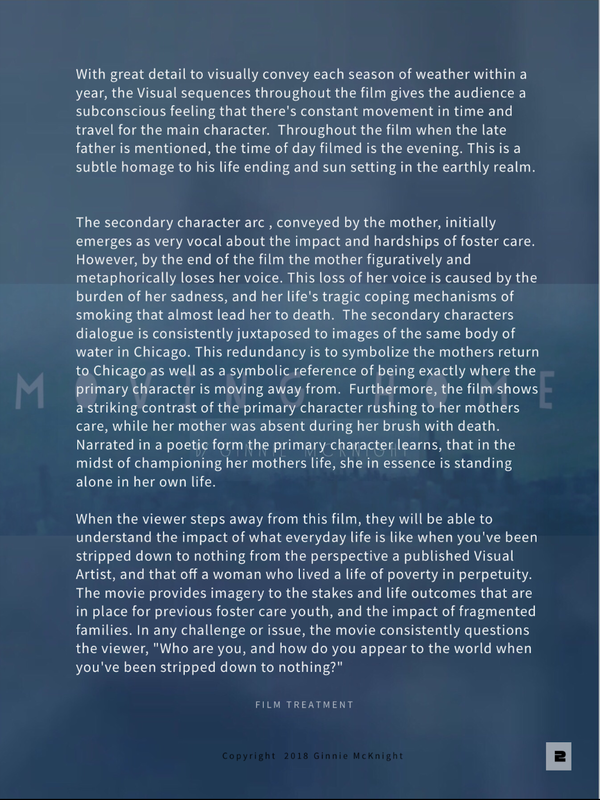 "Moving Home" the feature length version is currently in progress. 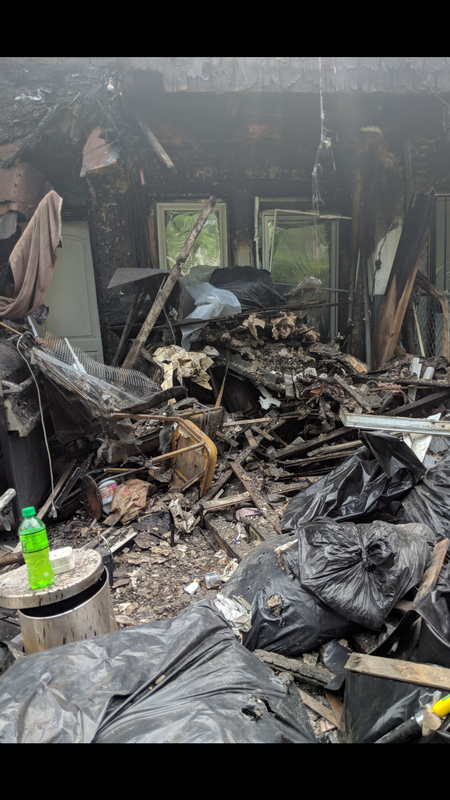 After an outpour of support for the short documentary film and the tragedy of her house fire, Ginnie McKnight continued on to share this personal yet often unheard of success story from the perspective of an adult foster care survivor. 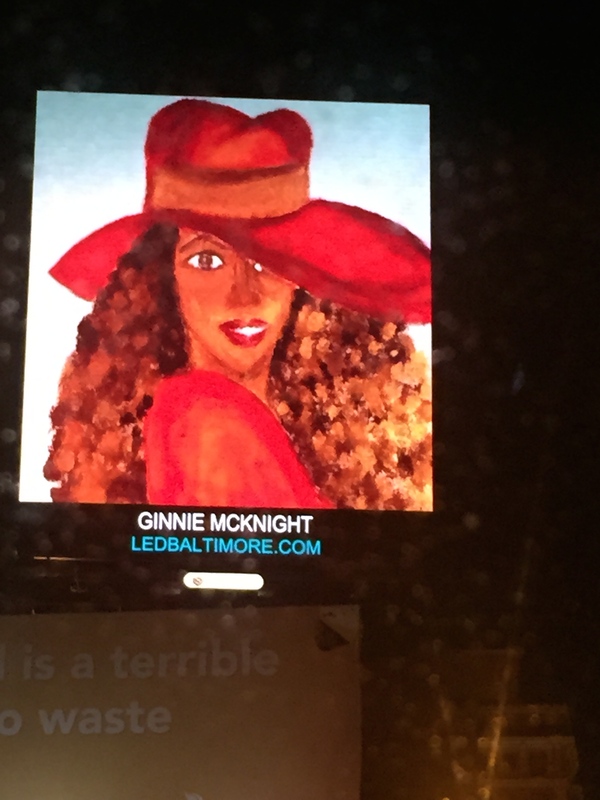 Filmed in Los Angeles, Chicago, Baltimore, and New York Ginnie McKnight is blossoming and sharing her Visual Artistry in her newest medium, a Film Director. Moving Home started as a book in progress during previous years as a Baker Artist participant. 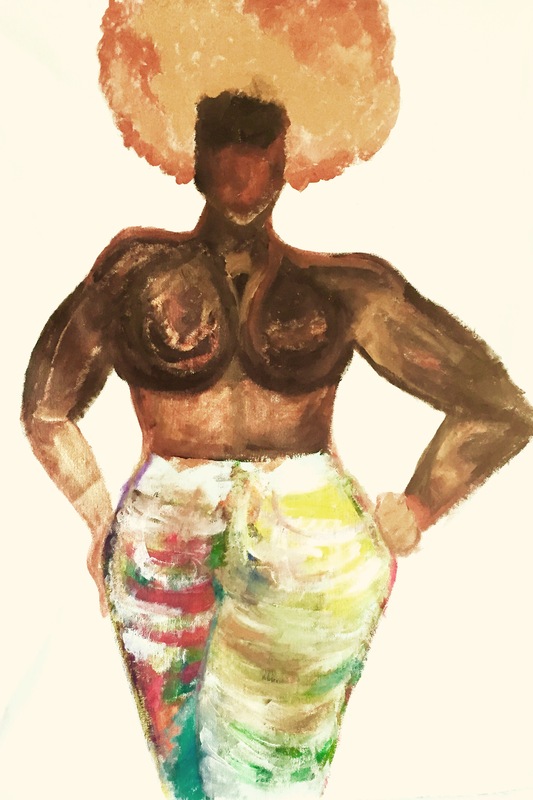 This critical body of work would share the journey of Ginnie McKnight's childhood as a young foster Youth in Chicago, IL and Indiana and how she successfully aged out of the system to become a talented published Visual Artist. 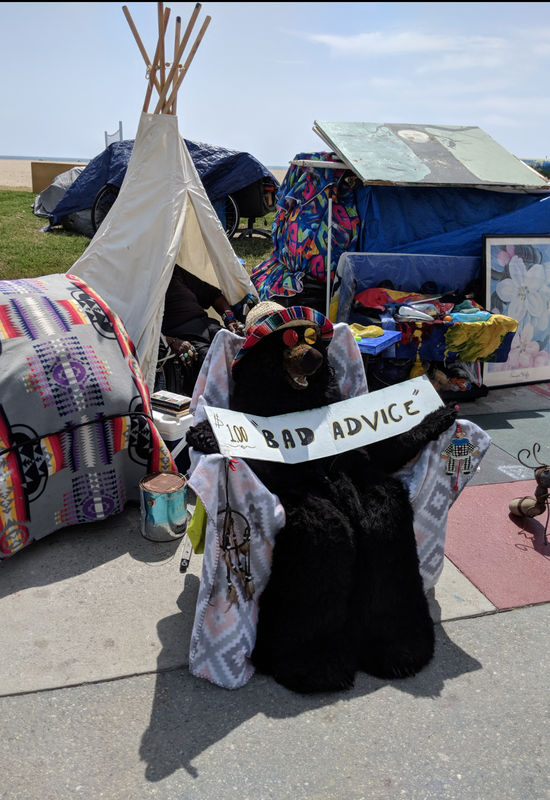 Instead of waiting for funding, in late 2017 Ginnie McKnight began tailoring her life story in short documentary film format. 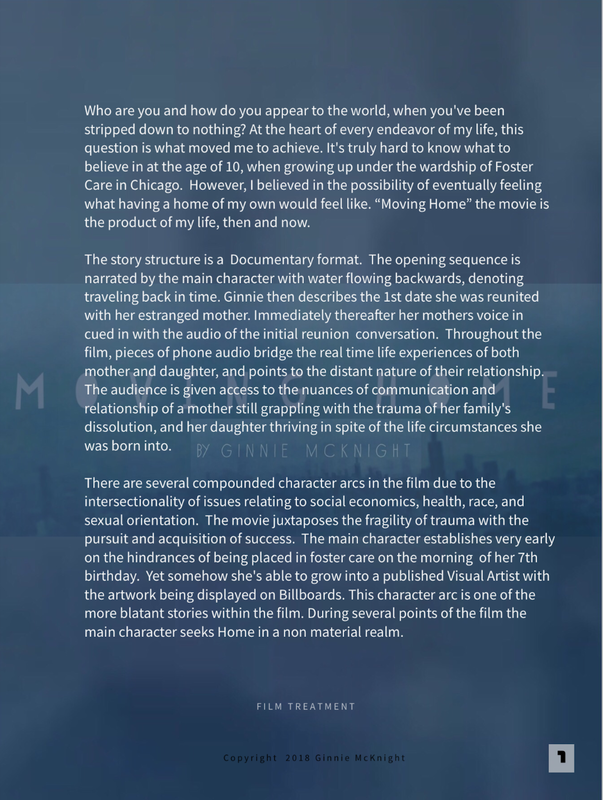 As the Director, Producer, and editor of the film, Moving home explores the internal journey of her desire to find home throughout her life. March 2018 In her debut as a Director and Film Maker, Moving home the Short Documentary was Accepted into the Cannes Film Festival Court Metrage, in France. Since this break out success, the film is continuously being courted by over 150 film Festivals around the world. Shortly after being accepted into Cannes, Moving Home was invited to be apart of the At&t film Awards. 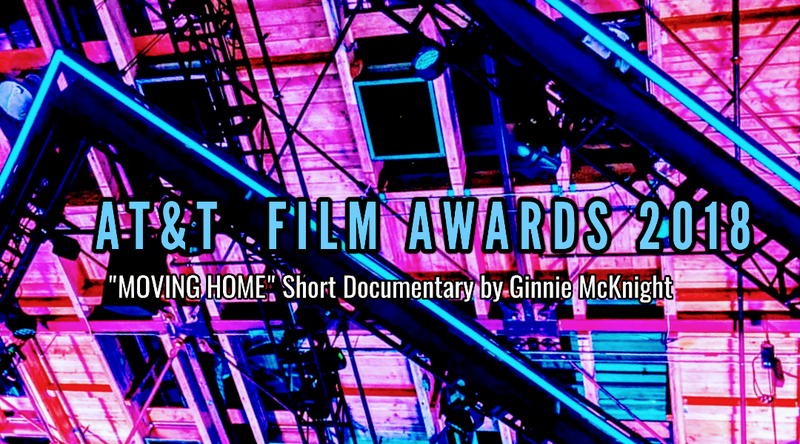 Moving Home the Short Documentary is Ginnie McKnight's 1st film. The film was accepted into the 2018 Cannes Film Festival in France May 2018. 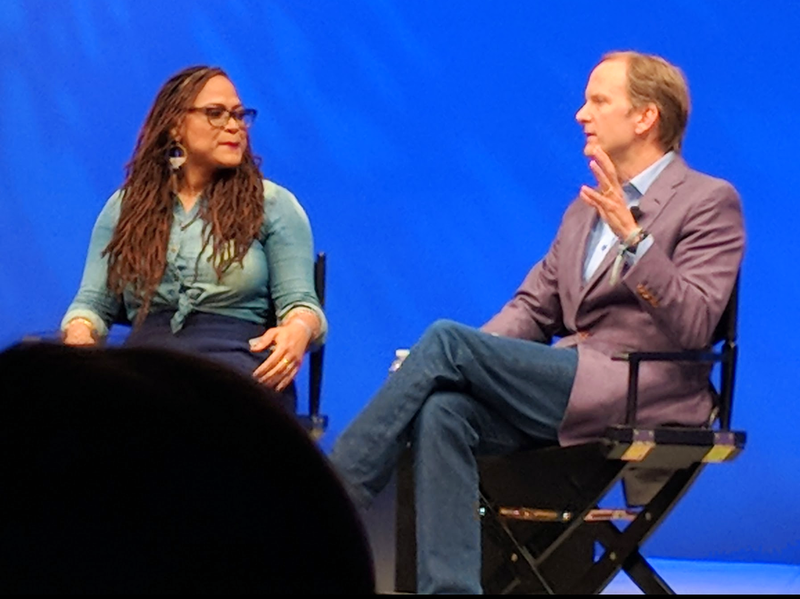 Ava DuVernay giving feed back to the Directors and Film Makers during the Film Awards Finalists session. 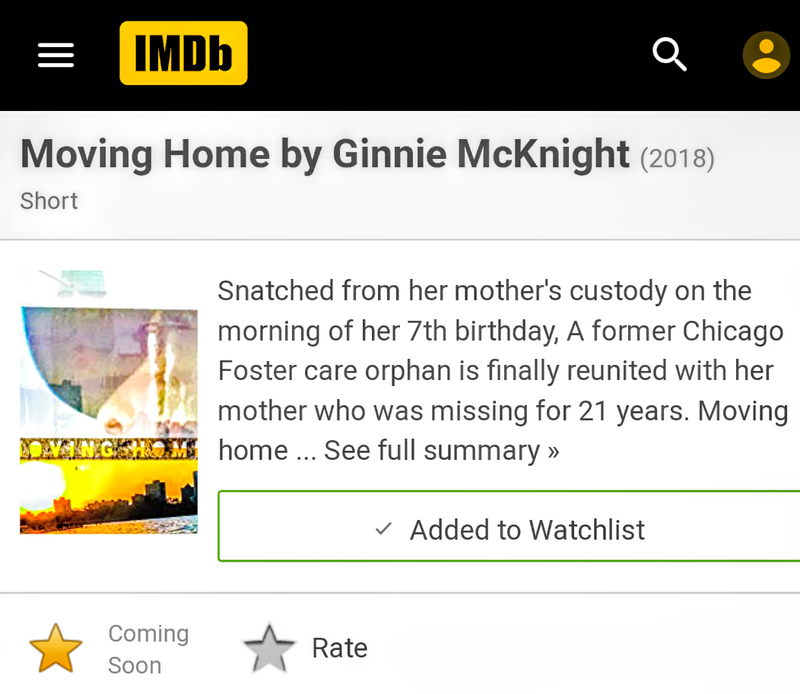 IMDb Moving Home the Short Documentary film synopsis. Create a Short Documentary within 48 hours. The content had to be created, and submitted within the 48 window of time. 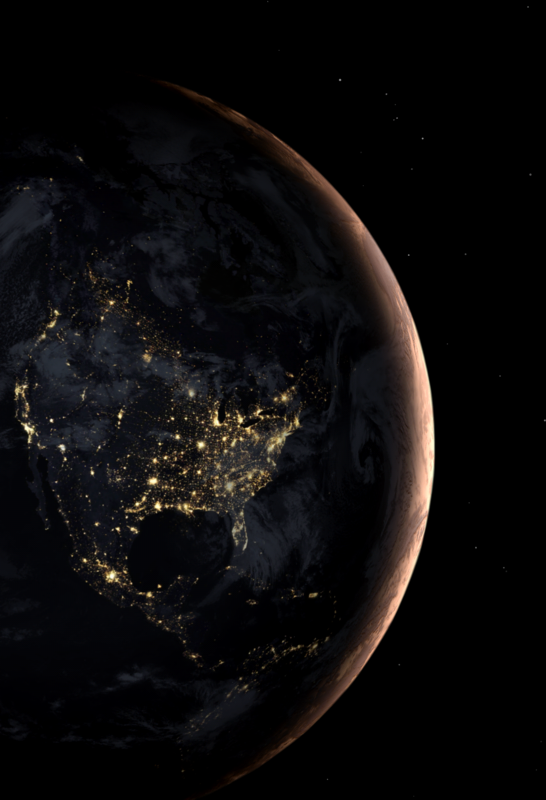 The Short Documentary had to be under 5 Minutes and relavent to the Annual NASA International Space Apps Challenge. 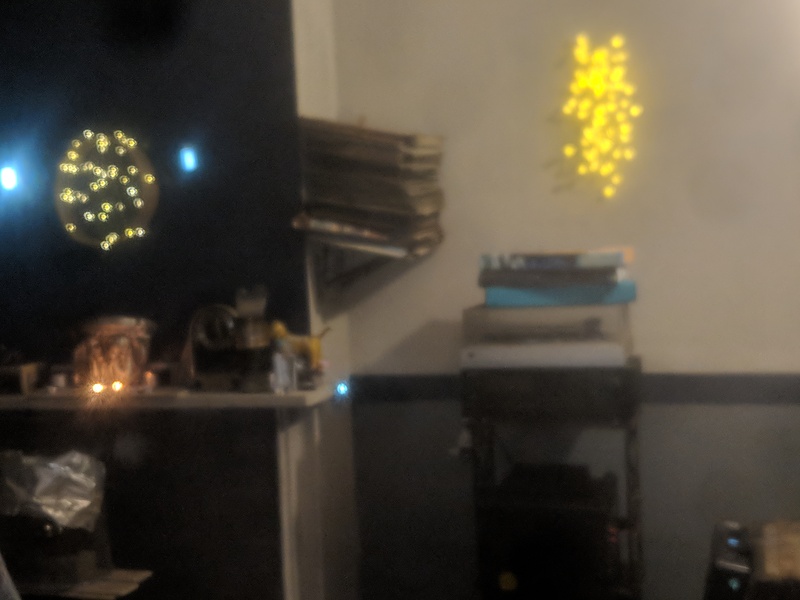 This was my 2nd Create -A-thon film this year, so being a walking production studio has turned into a specialty. The film was Directed, Edited, and scored using only mobile devices. The process was brutal, yet the completion of the Mission was worth every moment. This Short Documentary film was created in 48 hours for the Creative Category in the 2018 International Space Apps Challenge. Directed, Edited, and Produced by Ginnie McKnight Riding Juno: A Space for us is a nod to one of her favorite Space Missions, Juno. 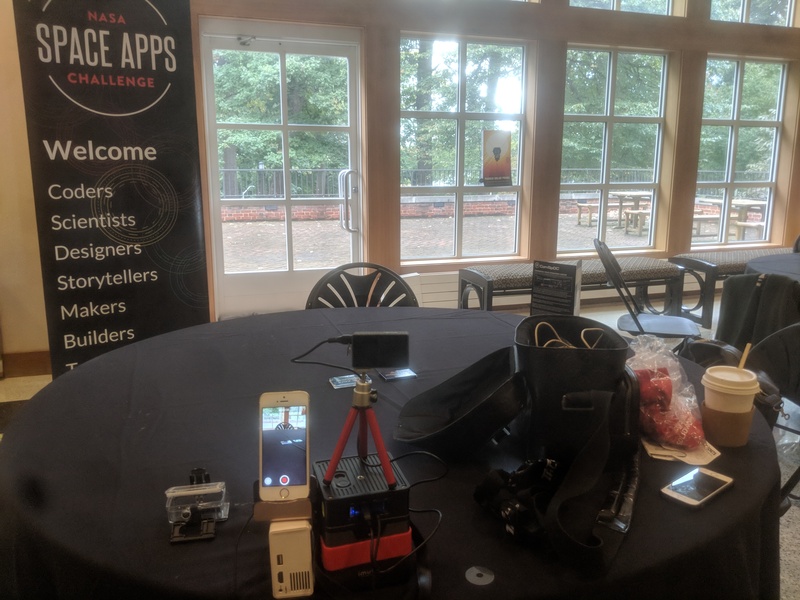 During the NASA Space Apps Challenge the Short Documentary format was a new addition to the yearly tech hackathon. 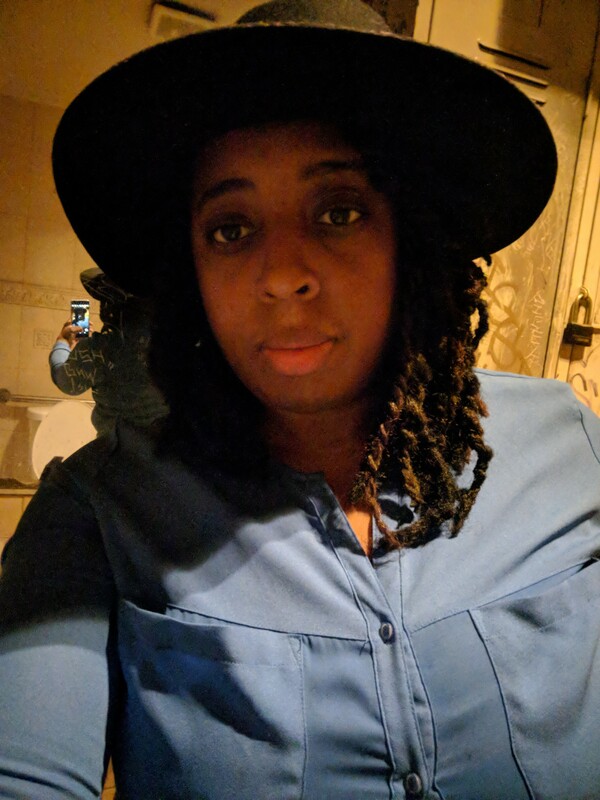 Pictured here Ginnie McKnight is giving her presentation on the tech used to create, edit, direct, and score a short documentary within a 48 hour window of time. 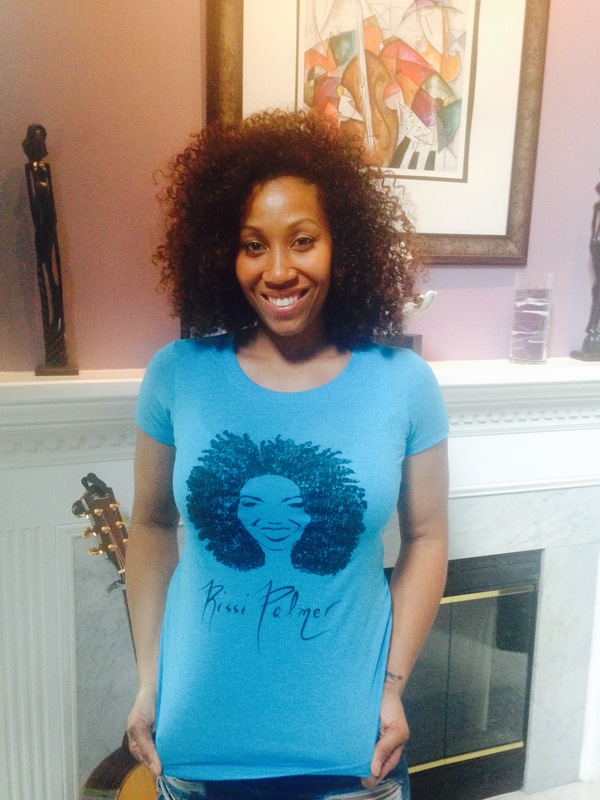 Finding Juno A Space for Us was filmed and edited by Ginnie McKnight using only mobile devices. 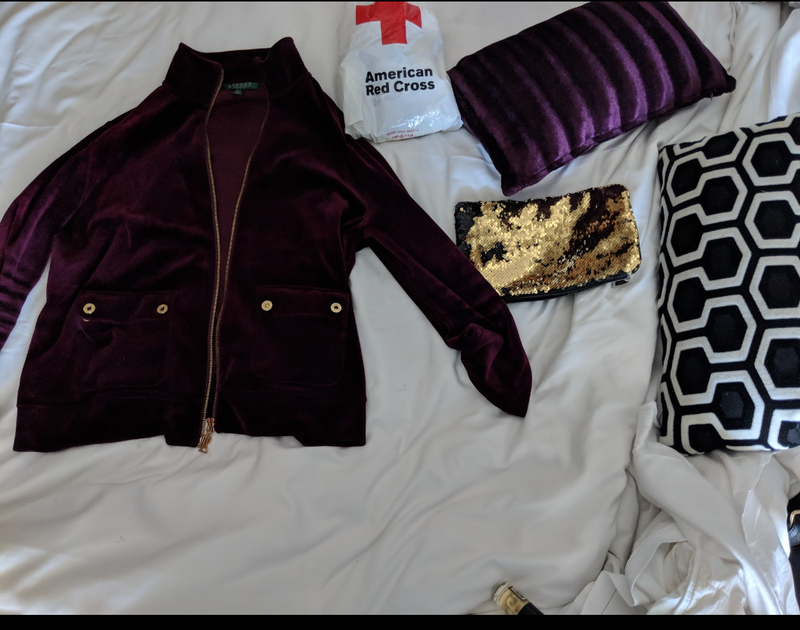 The response to Moving Home has been warm, welcoming, and challenging. The Short Documentary was a test of faith and will power. The feature is an answer to the call to stretch my abilities farther. 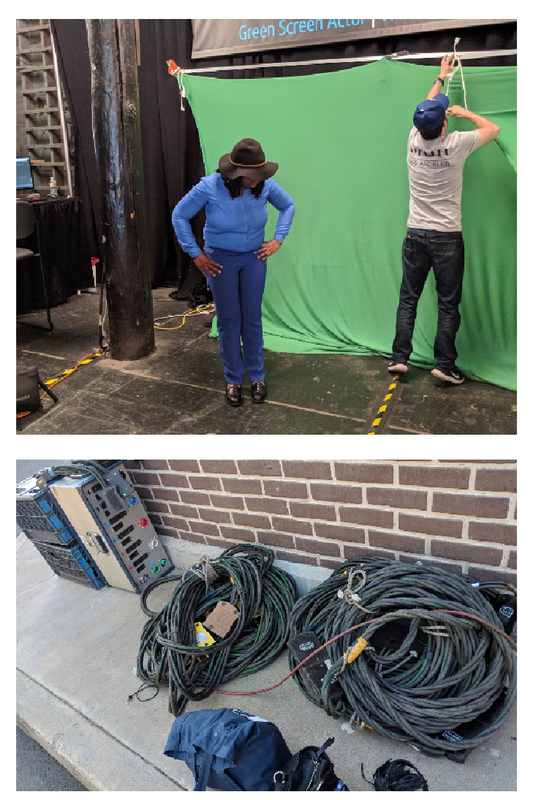 With eighty percent of the film already shot, the help of the Baker Artist Grant will help add a few new layers of visual effects in post production. Most importantly funding will help the feature films presence in competition. Story board inspiration for sequence on resilience . 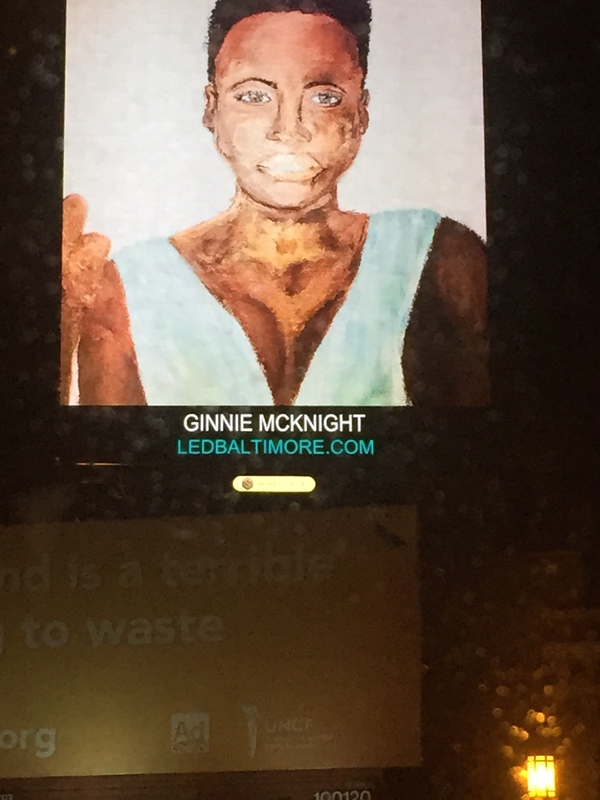 Shot in Los Angeles, CA during her first visit ever, Ginnie McKnight traveled to potential neighborhoods her my mother may have resided during the 21 years of her absence. 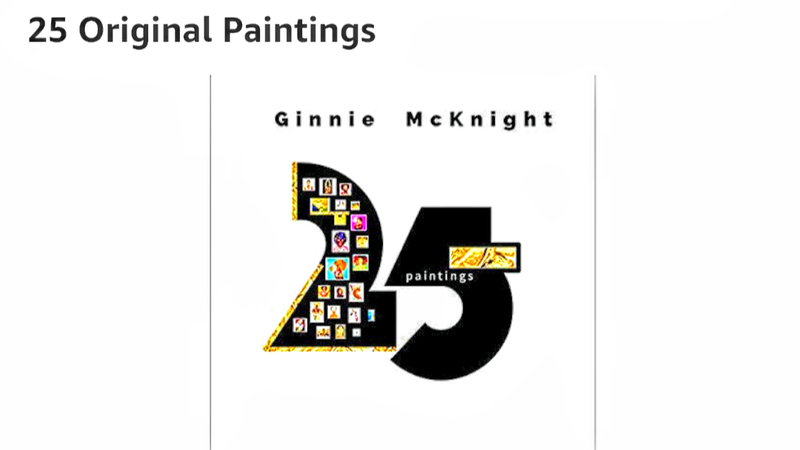 The "25 Original Paintings"book by Ginnie McKnight was released on September 11, 2017. 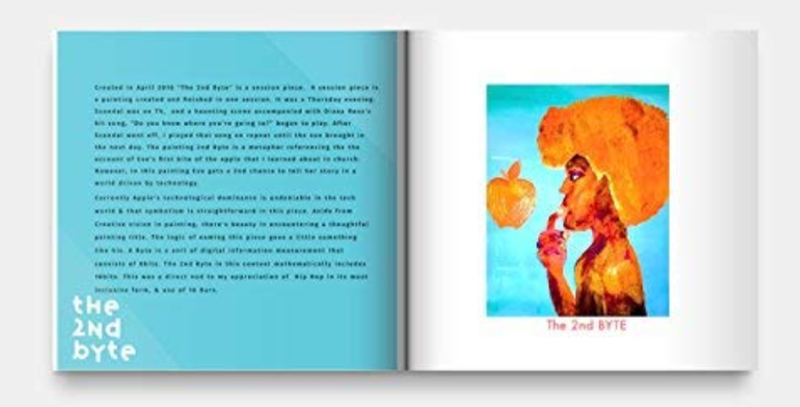 The book is currently available for sale and being rendered as an audio book. 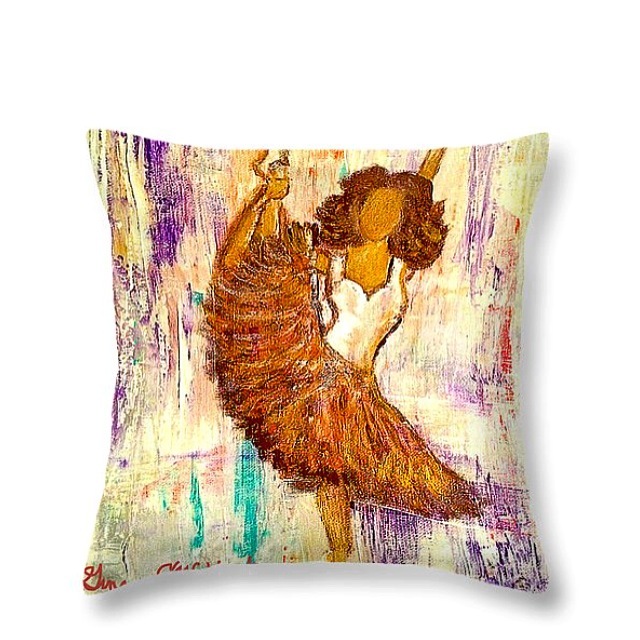 Ballerina No.1 is an excerpt from Ginnie McKnight s book "25 Original Paintings" released September 2017. 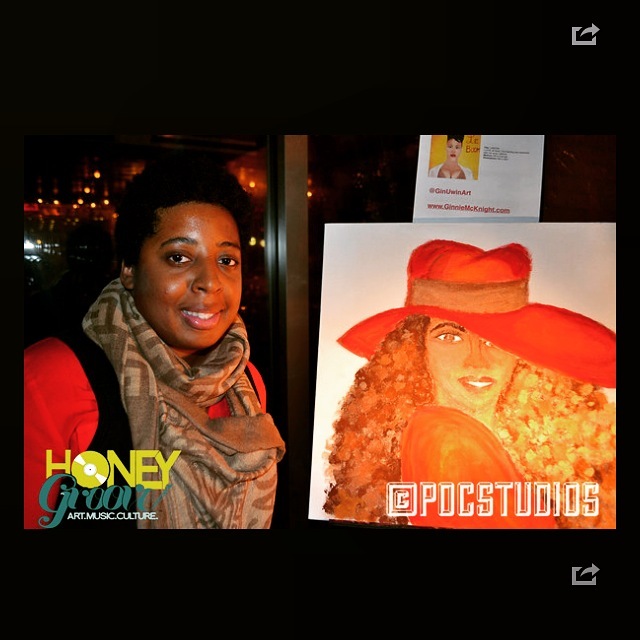 During the Honeygroove DC Art Festival teaser Ginnie McKnight used the energy of the surrounding artists to inspire her to create this final piece. 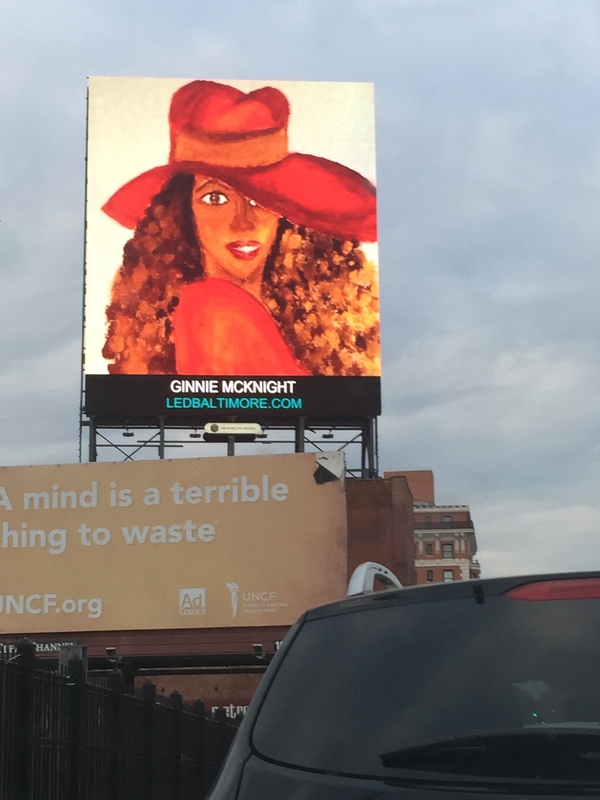 As with many of her other works of art she breathes life and vibrancy into where they end From Canvas to billboard and now film. 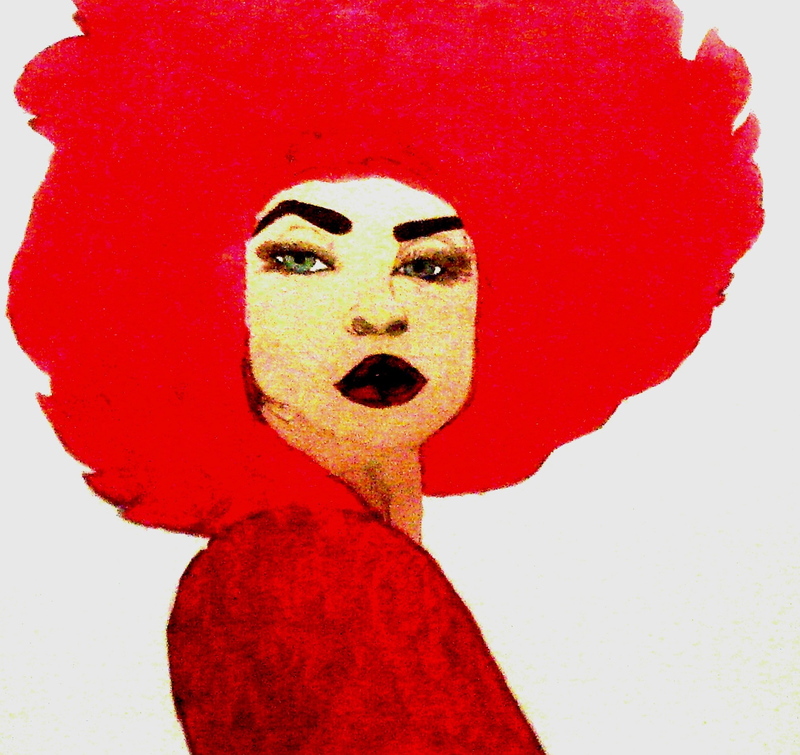 Her artistic voice gracefully combines Analog work to Digital work. 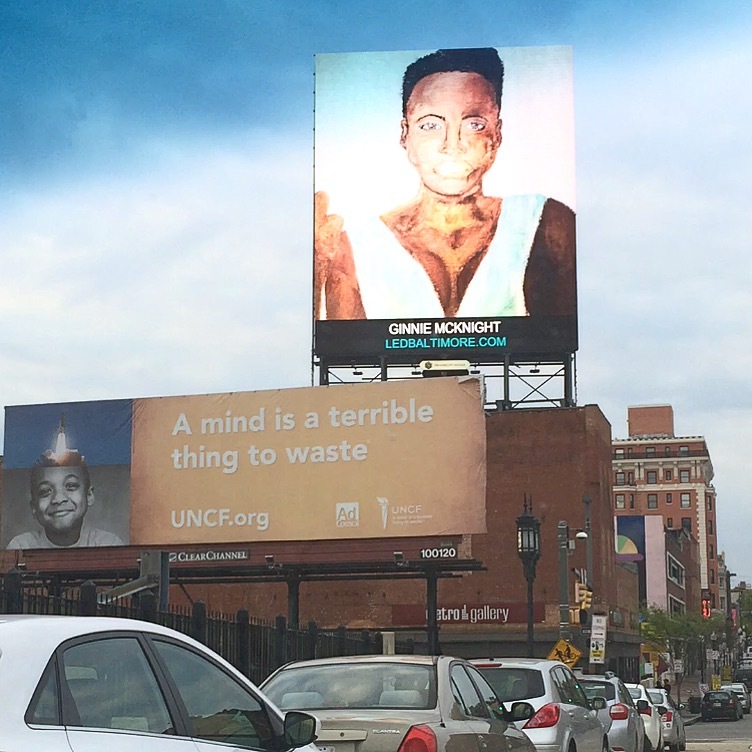 The Billboard Exhibit was cut short due to the Baltimore Uprisings and McKnight's work shared the display with photos of local protest to document the unrest in Baltimore City. 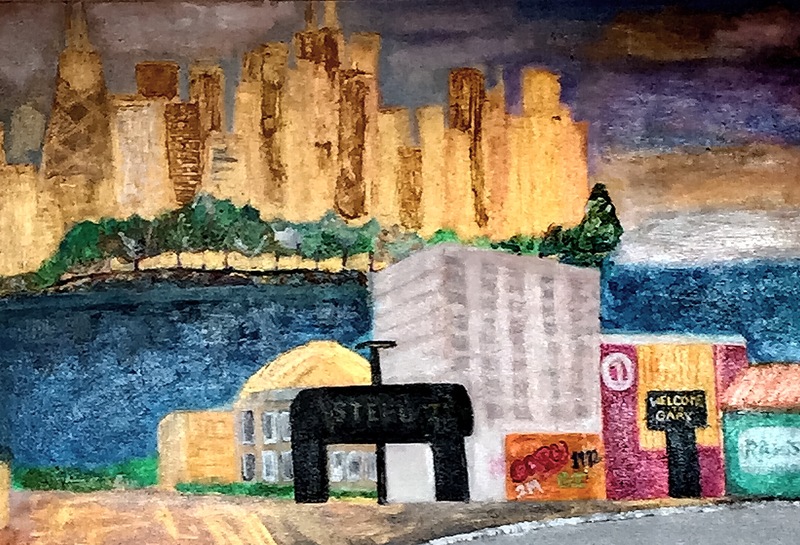 Each painting listed had placement in the Short Documentary "Moving Home". 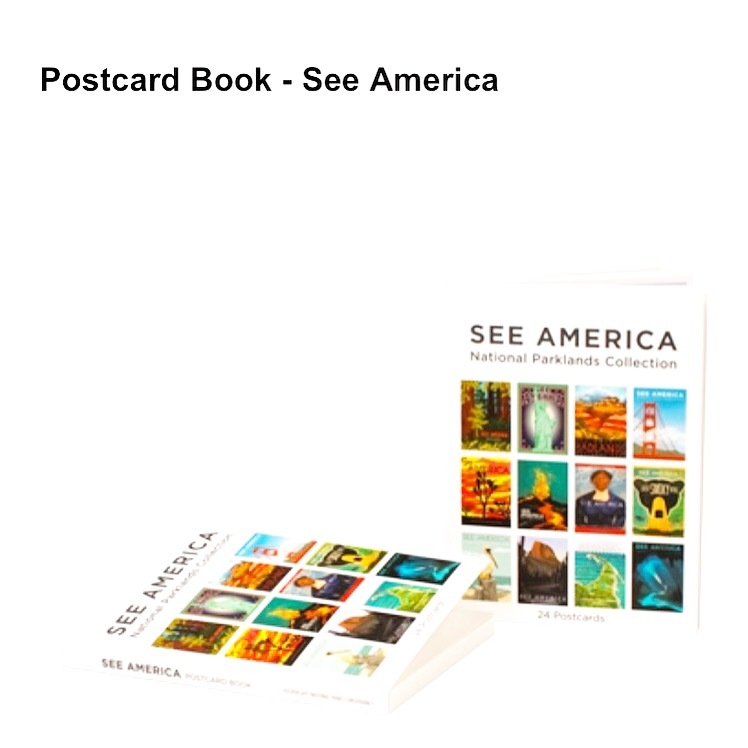 A Collection of pieces sold as original works of art to collectors or pieces of work that have been published Nationally. 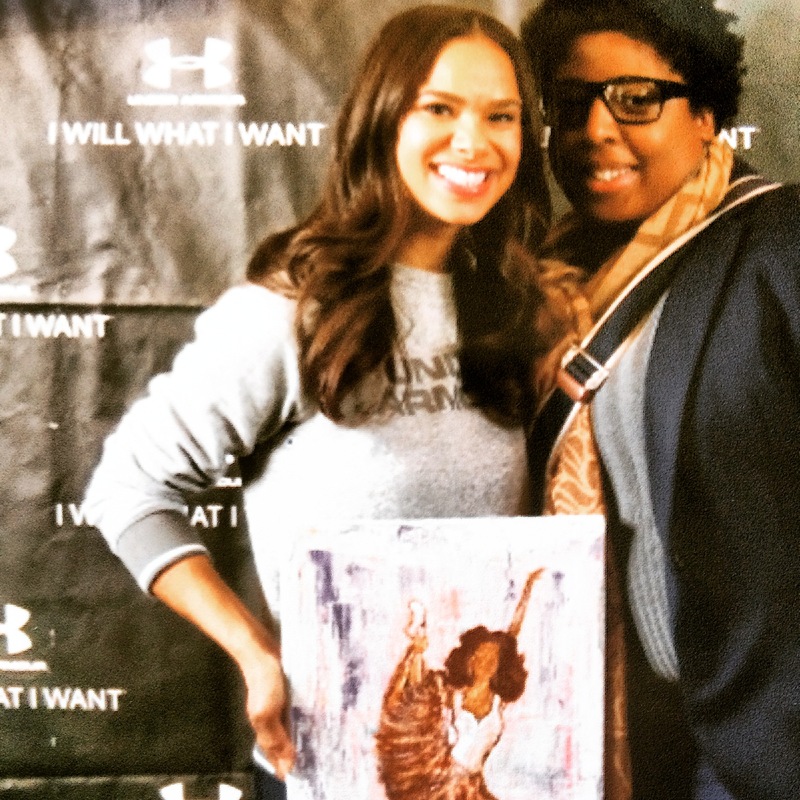 Painting Series Inspired by Misty Copeland's "I Will What I Want" This painting was featured an auctioned at CASA in Northern New Jersey to raise funds for advocacy for Children in Foster Care. 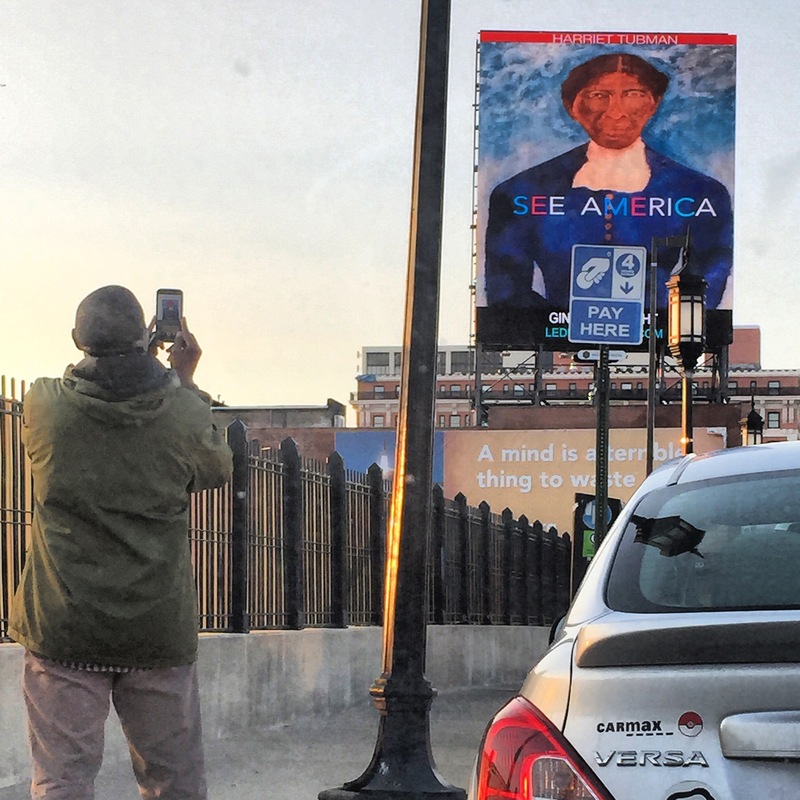 "This Poster was created with an original painting of Harriet Tubman completed in December of 2012. 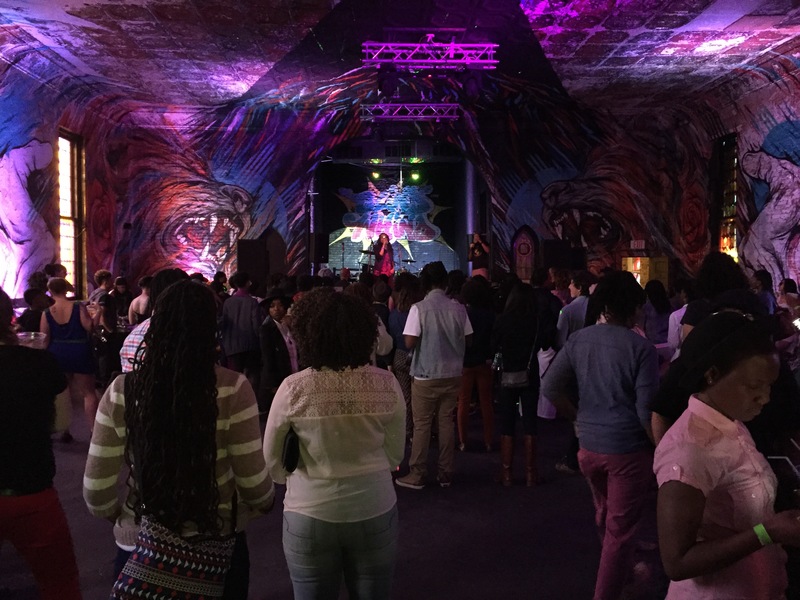 The painting was in honor of Tubman's 100 year Memorial of her passing. 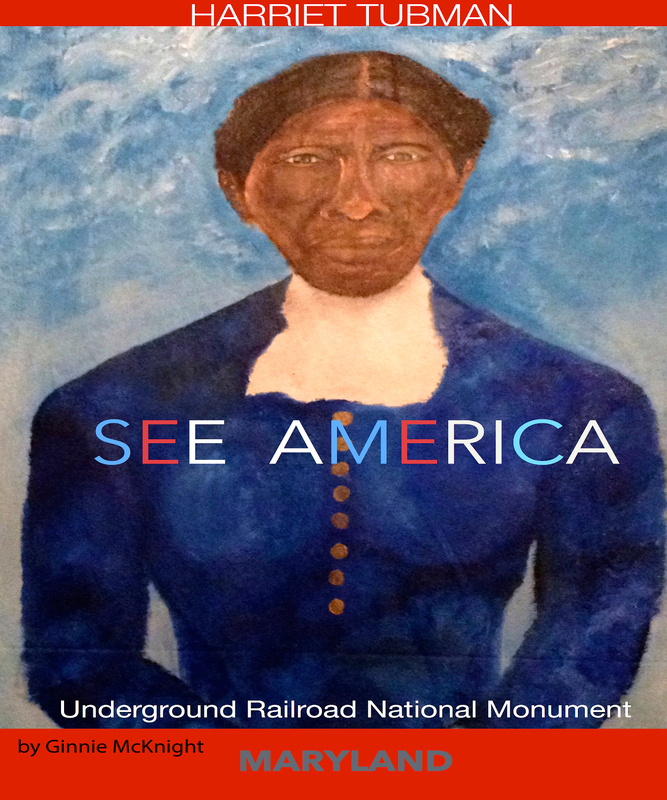 I created this See America Poster from the Harriet Tubman painting." 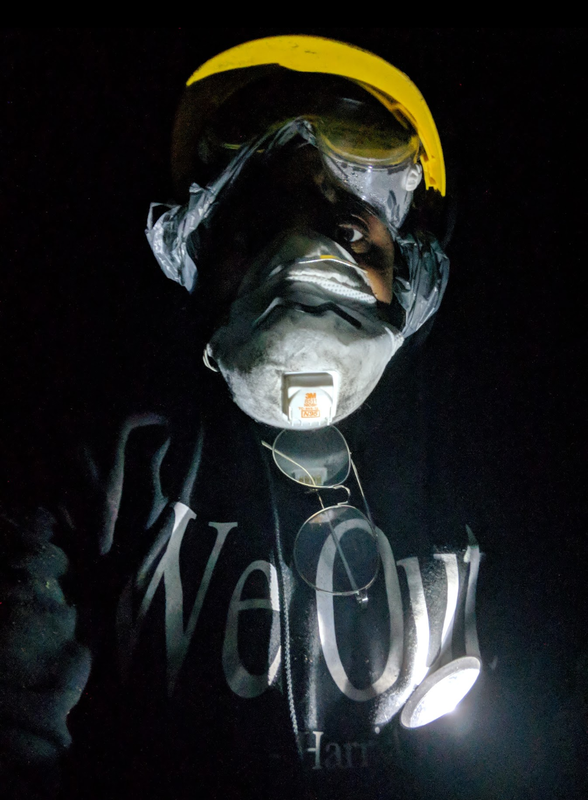 -Ginnie Harriet Tubman Underground Railroad National Monument is an 11,750-acre National Park Service unit in the U.S. state of Maryland. America's national parklands are among the most naturally beautiful and culturally rich places on earth. They protect the landscapes, stories, and artifacts of our magnificently complex nation. 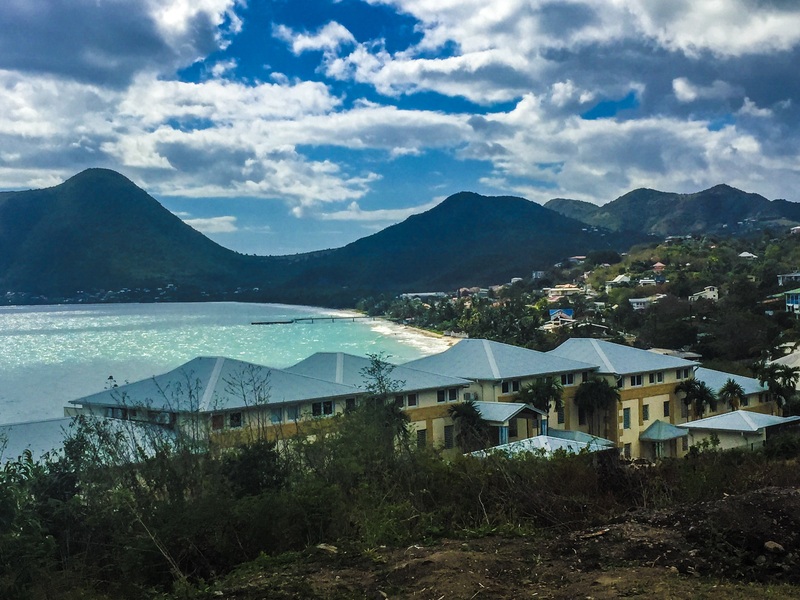 After traveling to a remote beach in Martinique in 2016 named Saint Luce, a new creative persona was born. 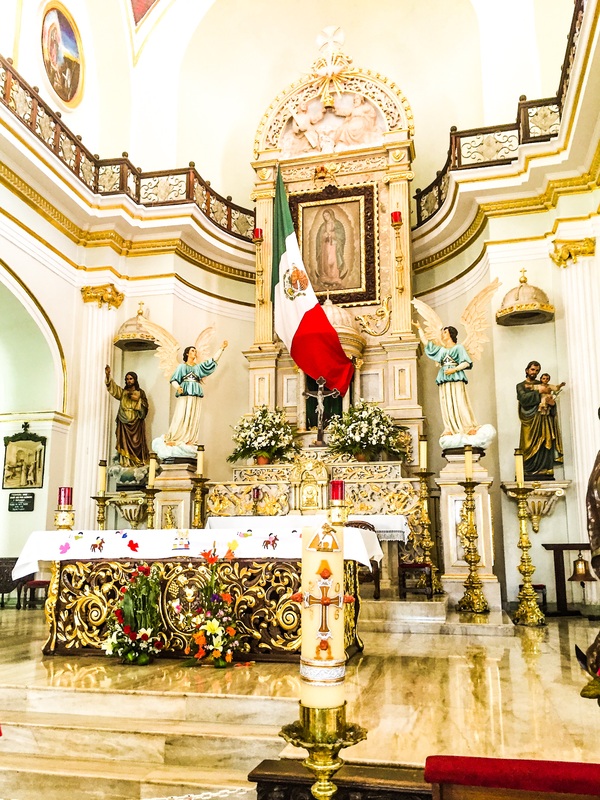 Saint Luce was a place of sanctuary. 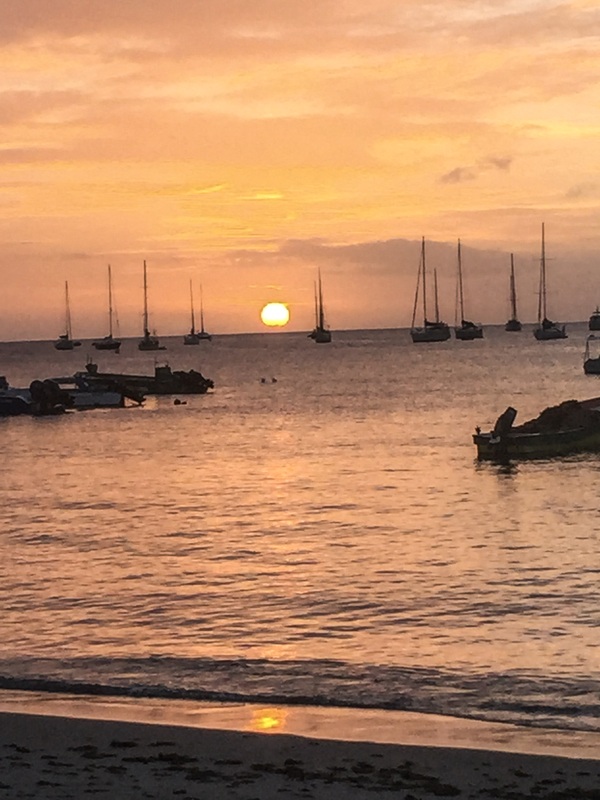 While basking in the middle of warm ocean waters, each beach goer experienced the sun set together. The creative persona Saint Luce embraces the same spirit of inhibition and natural aesthetic. 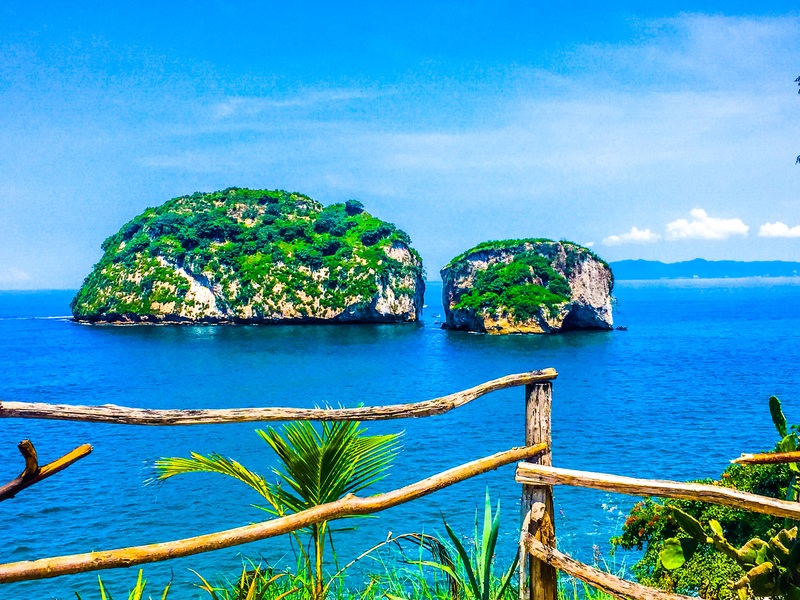 This project will be a compilation of photography and landscape paintings of Martinique, Mexico, and San Juan, Puerto Rico. The intent of this project is to arouse the intangible pleasures in life, ignite curiosity in global artistic expression, and give pause to ponder the beauty we each share in Mother Nature. 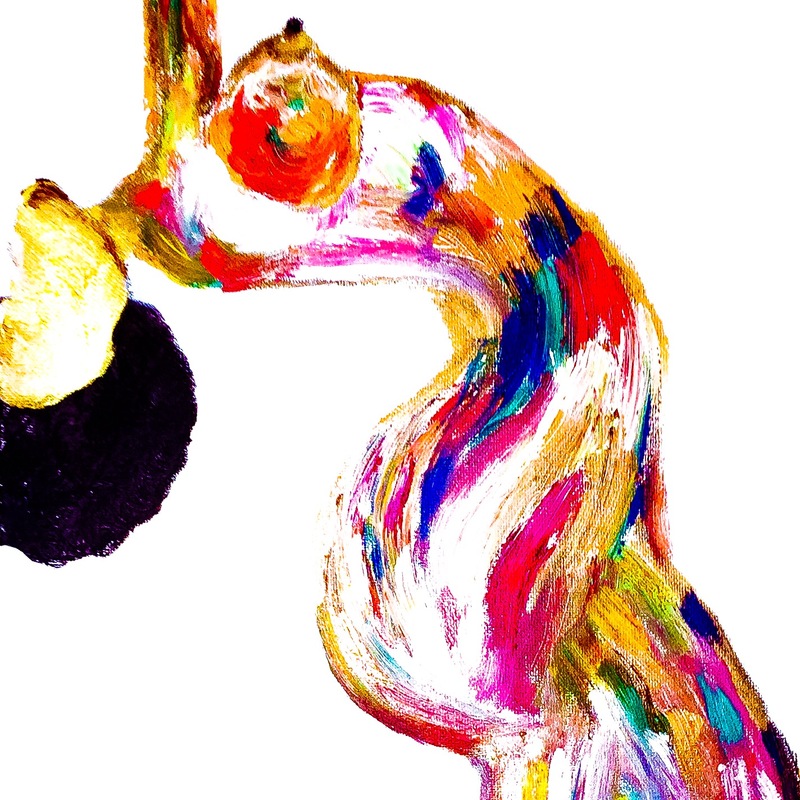 This is a Collection of a Body of Work in 2015 that constituted a transition from figurative painting to abstract bodies of work. 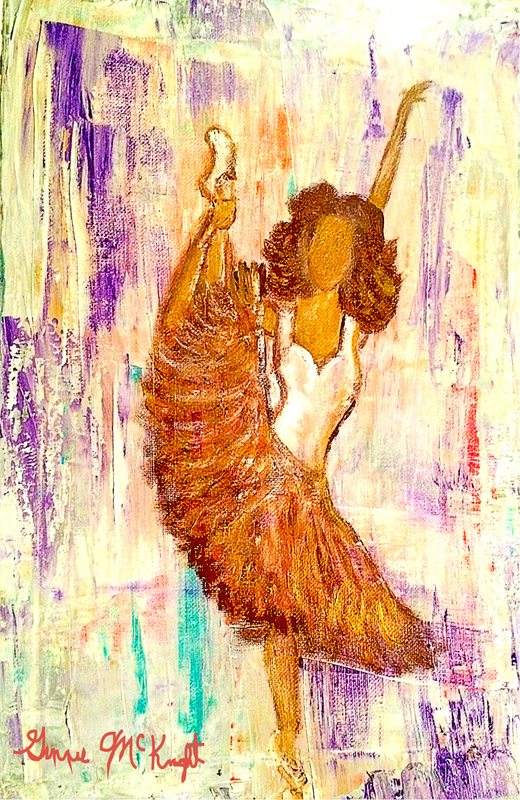 This is a painting in progress by Ginnie McKnight in response to the death of Sandra Bland. The painting is a 24 x 24 Oil on gallery stretched canvas. Inspired by the great poet Langston Hughes, the illustration is a repurposed gouache painting I created in 2013. Imigration reform has a diverse voice. The spirit of this poster is to reflect this diversity, & support justice and dignity for all! Eve Where Art Thou is an exploration of the contributions of women young and old who have contributed to the greater Good in modern Society. This Exploration of Women in the Arts is a much needed discussion because it will uniquely juxtapose a conversation with women who've successful navigated art in the past with those women who are art contemporaries. This subject matter is near and dear to me because often there's a missing correlation between the old and the new. 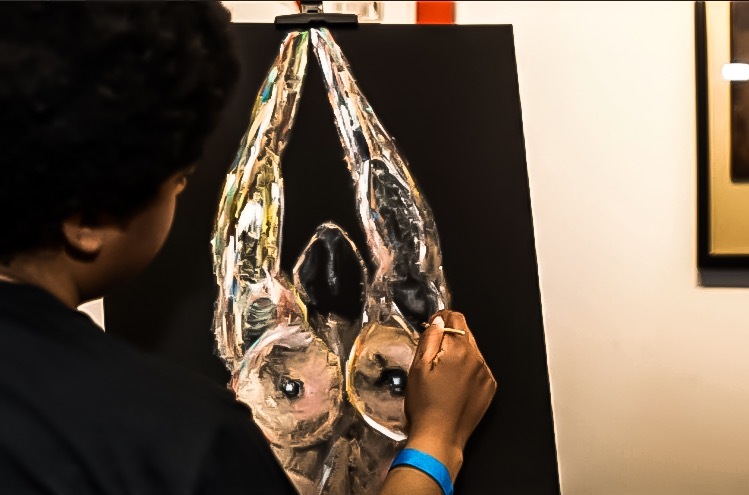 This project will arouse dialogue and further provide foundation for all age groups to find common ground, and greater awareness of the importance to embrace all perspectives and forms of expression in the evolving space of Women in the Arts. 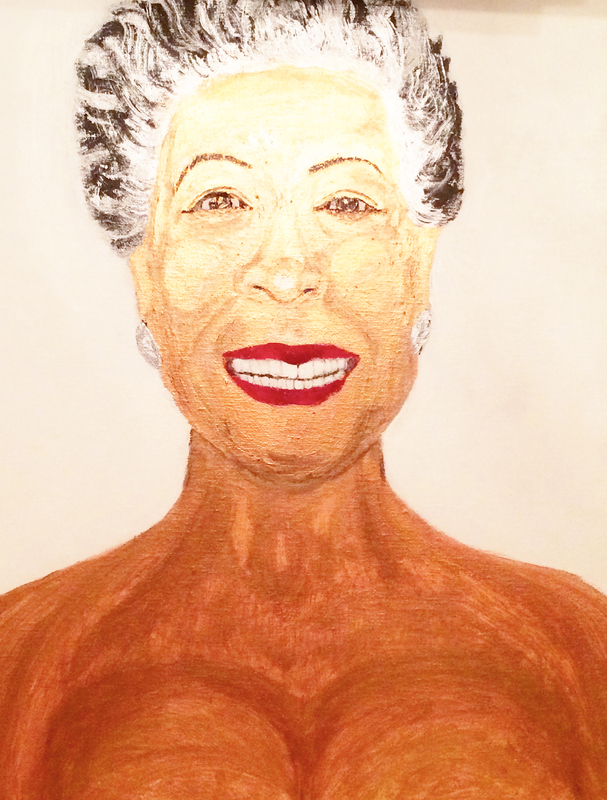 The women I've painted thus far are categorized as legends both living and deceased. 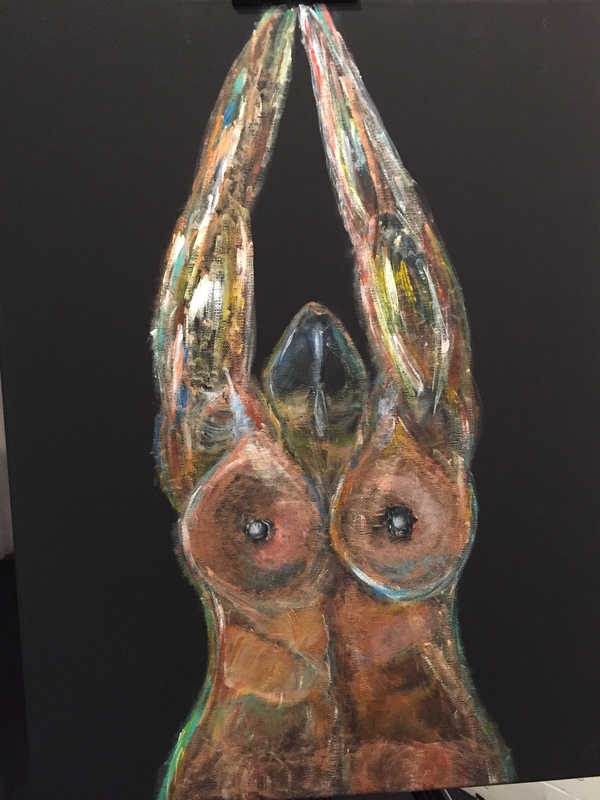 My goal is to delve into painting women who are considered provocative and who push the envelope of what is deemed acceptable. This all inclusive pursuit is truly a beckon to the question Eve where Art Thou? Harriet Tubman Underground Railroad National Monument is an 11,750-acre National Park Service unit in the U.S. state of Maryland. This piece will be a part of the 100 year Anniversary Celebration of the National Park Service in conduction with the See America Project. 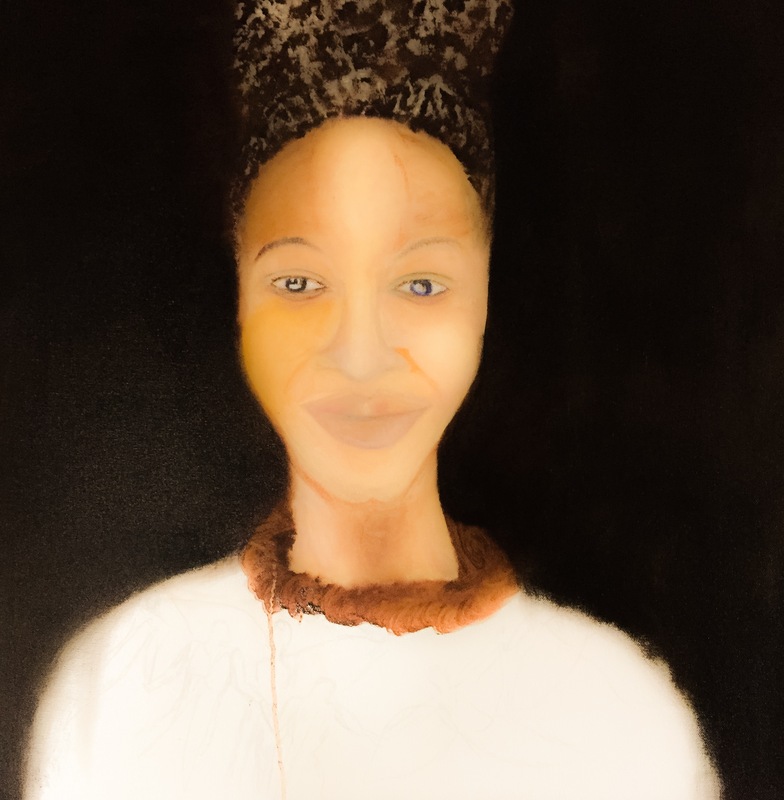 This painting by Ginnie McKnight is a feature piece in her continuos Eve Where Art Thou collection. 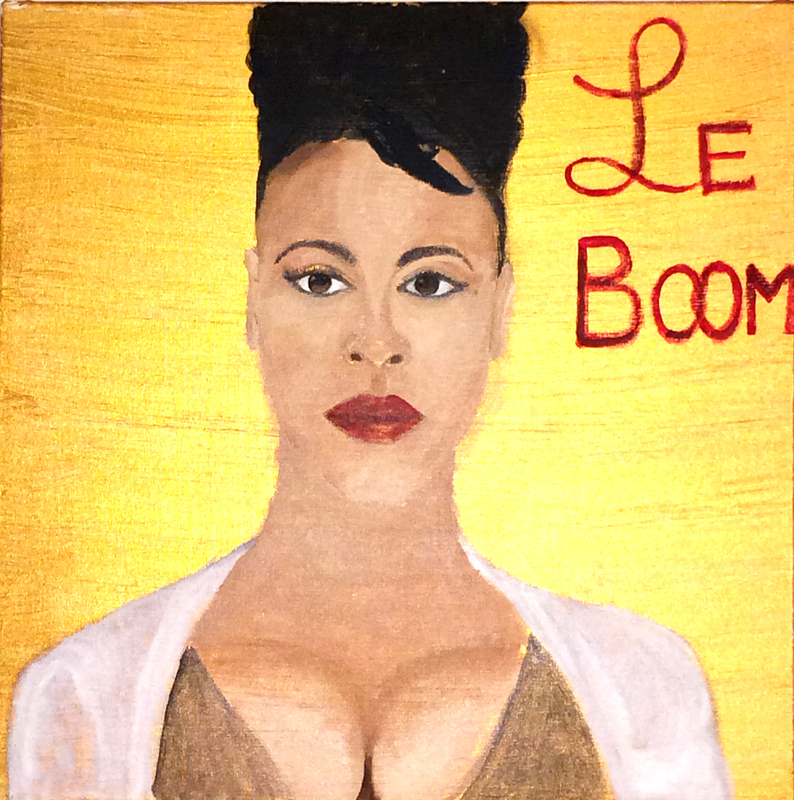 This Painting was painted to commemorate Jill Scott's contribution to Music and the Art's. 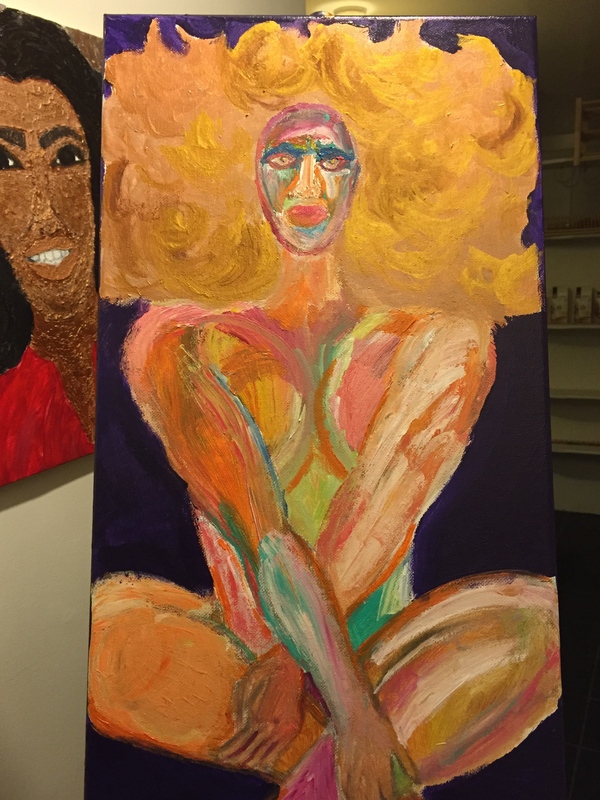 This painting was Ginnie McKnight's first abstract portrait painting ever and has been the catalyst to paint her Artistic perspective and give voice to the power and strength of women artist! 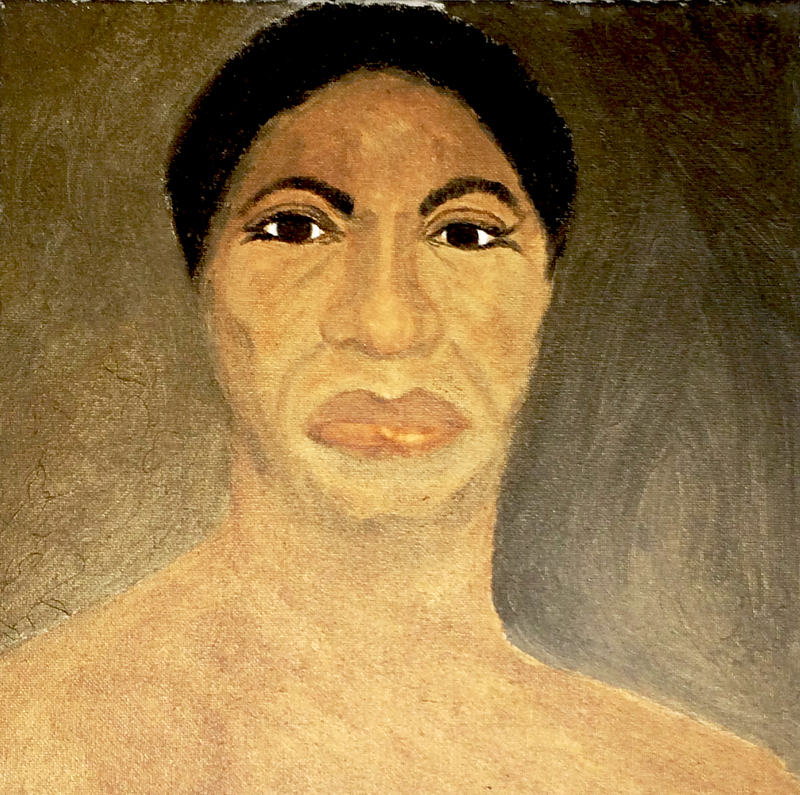 This Original Oil Painting of Nina Simone is in honor of her deep love for the Art's and Baltimore. 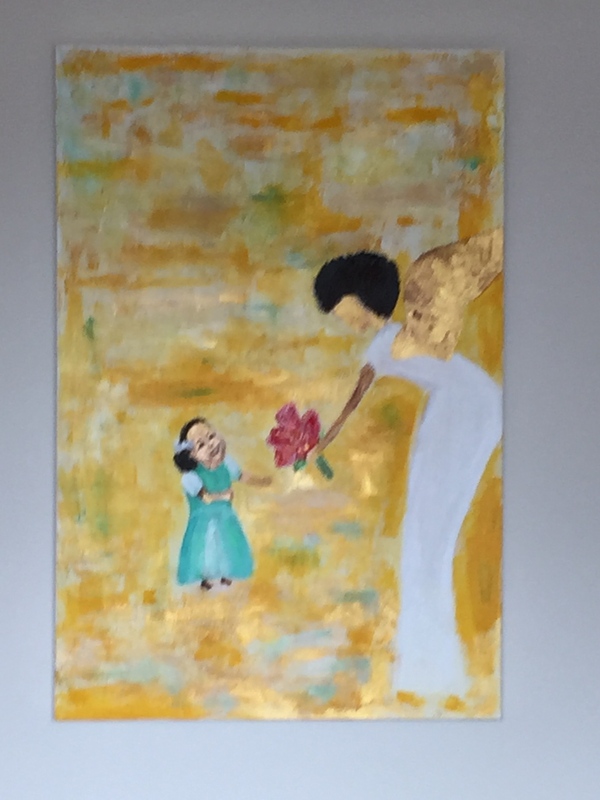 This painting was created using Gold Metallic Paint to commemorate the Legacy of Dr. Maya Angelou. 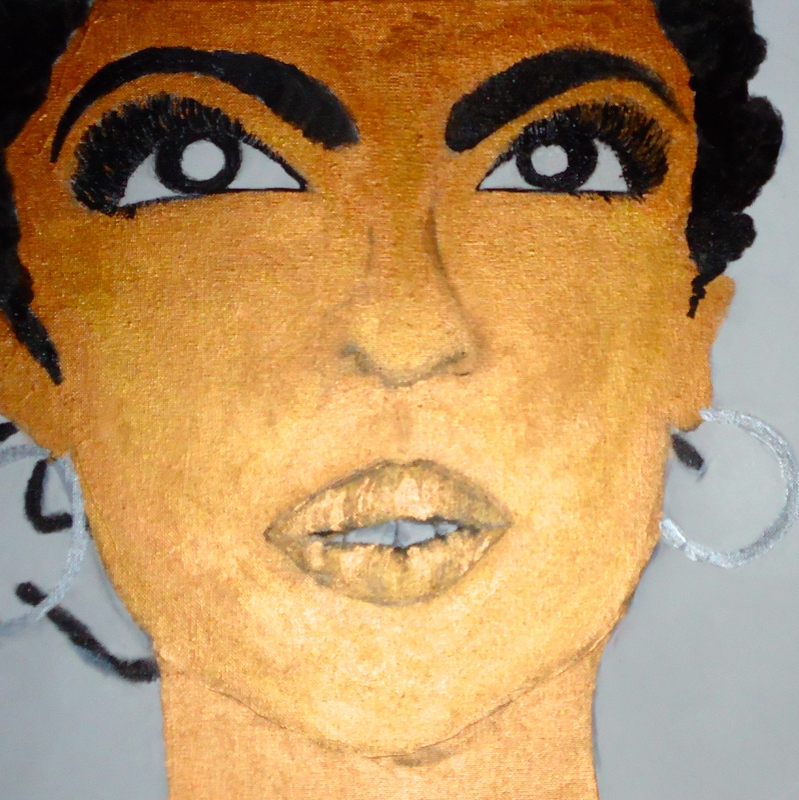 This painting was painted using Metallic Gold Paint in Honor of Lauryn Hill. 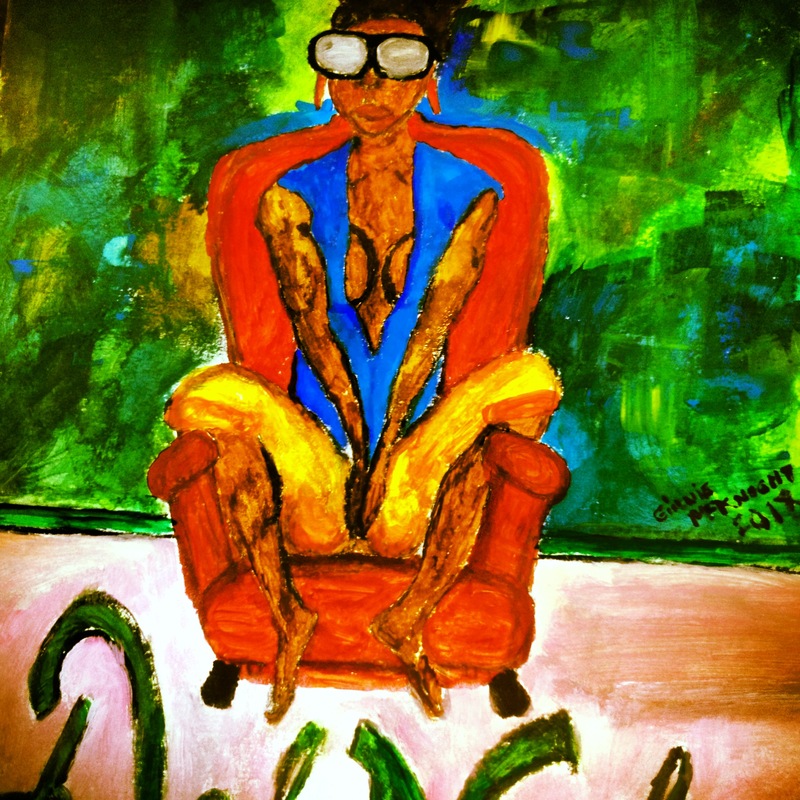 This painting was the Curators choice to display in New York during the Art Takes Time Square Exhibit 2012 in Manhattan. 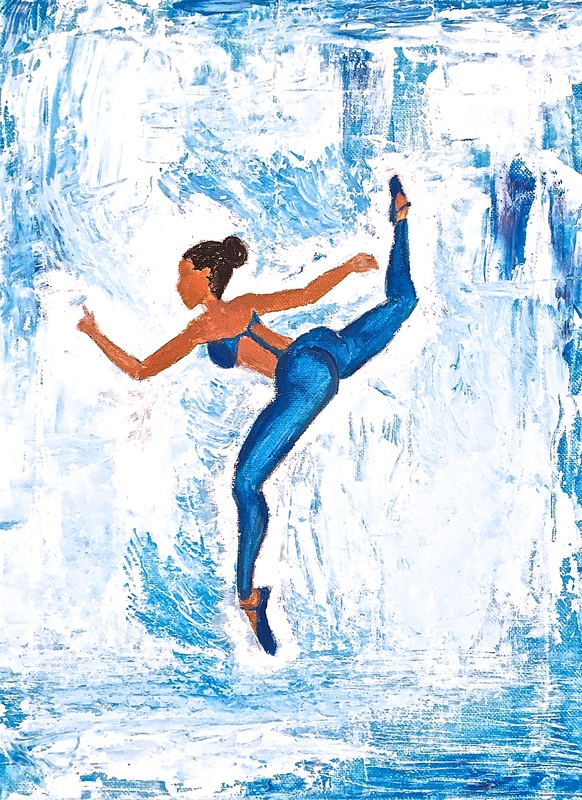 Painting Series Inspired by Misty Copeland's "I Will What I Want" This painting was featured and auctioned at CASA (Court Appointed Special Advocates) in Northern New Jersey to raise funds for advocacy for Children in Foster Care. Painted with Gold and Copper Metallic Acrylic Paint this painting was made to commemorate Lupita's Contribution to the American Film Industry. 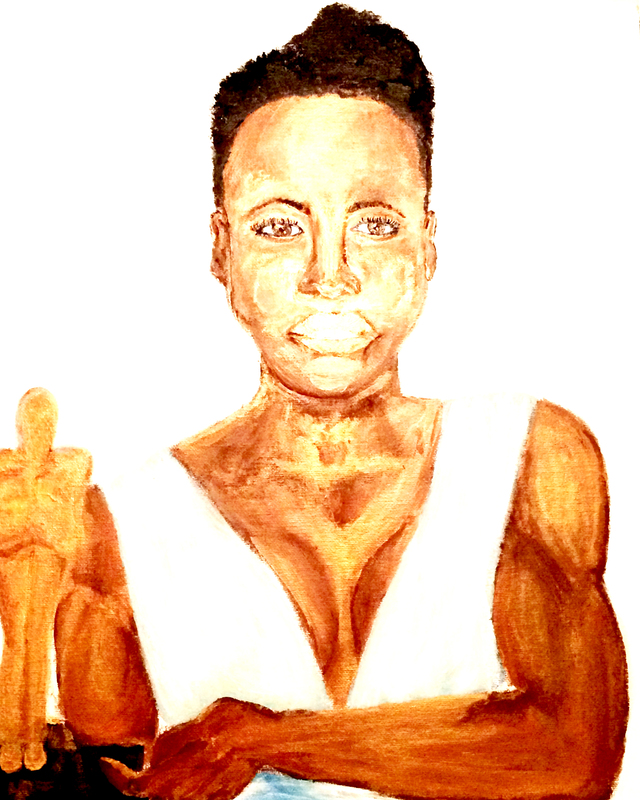 Her physical strength is accentuated in this painting to symbolize her dedication to honing her skills and craft as an actor.